It’s nearly November, which puts us on the precipice of what many gaming veterans would call Call of Duty month. For the past however many years, the descent into the dark Winter months brings with it a whole host of massive, big budget console titles, however the only certainty is the next iteration in the immensely popular war franchise. 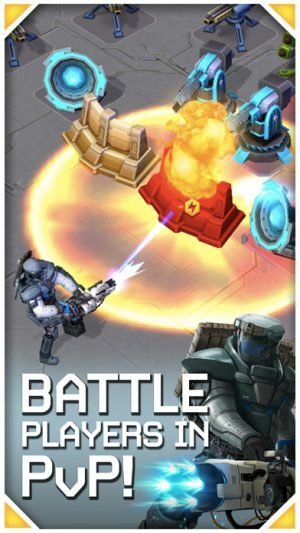 On mobile, the story is somewhat different – while Call of Duty: Heroes (Free) and Call of Duty: Strike Team ($6.99) launched on the App Store in the past few years, it’s been a while since Activision’s flagship franchise returned to the smaller screen. Right on cue, Call of Duty: Siege, the newest iOS version of the series, today soft launched in Australia, but not in the way you’d expect – instead of first person action or the more strategic RTS approach we’ve seen in the past, Call of Duty is now a card game. While Call of Duty: Siege may be influenced by the universe of the upcoming sci-fi space shooter Infinite Warfare, it seems beyond the certain characters and robots, the similarities sharply stop. Instead in Siege, you are tasked with collecting over forty unique cards from the upcoming console entry and assembling decks to beat opponents in PvP online invasions. As you rise through leagues by winning standoffs versus other players, you’ll encounter rarer cards, get even stronger decks and ultimately conquer the solar system. 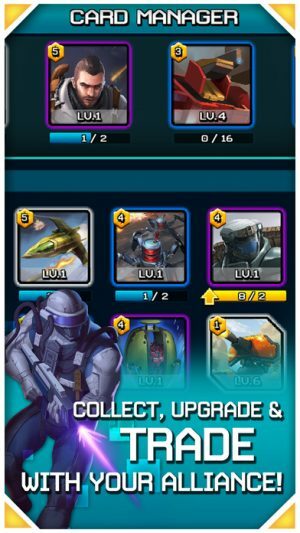 As is customary in this sort of game, in-app purchases are as abundant as ever, even with the infamous Supply Drop system from the console versions – however being made by the same team as Heroes, which we thought wasn’t too bad in our review, there may still be hope for Siege, especially if you’re a big Call of Duty fan. If you’d like to give Call of Duty: Siege a try, check it out on the Australian App Store here, use our soft launch guide to download it if you’re from outside the land down under, and keep an eye on our forum thread for further details of a global launch.